You may have read Romeo and Juliet in high school or viewed the modern adaptations of Shakespeare’s plays across the silver screen, but have you ever witnessed the colorful outburst of various blooms that have illustrated the famous lines of the Bard? Located in Golden Gate Park, Shakespeare’s Flowers takes after the themed garden spread of plants and flowers mentioned within the works of William Shakespeare. Often, examples of such an attraction are cultivated in parks, universities, and by locations where annual Shakespeare festivals are held. There are more than 200 flowers and plants situated at the Shakespeare’s Flowers location. Transporting visitors into the pages of historic comedies, tragedies, and sonnets, bronze plagues engraved with notable quotations accompany the floral arrangements. It is here that guests congregate to admire and absorb the cultural and educational significance of the garden. 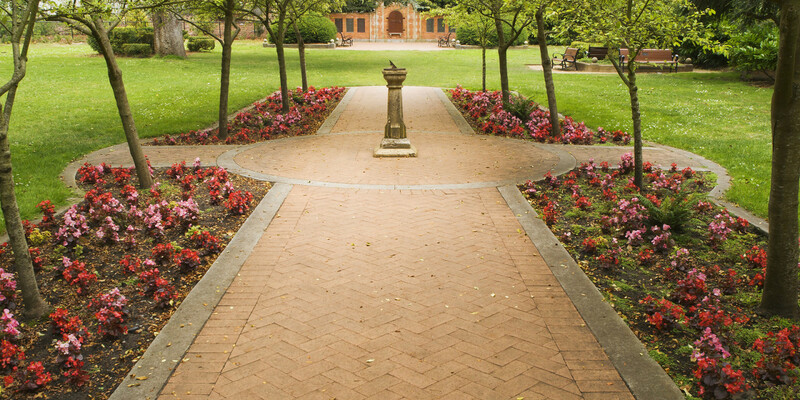 Shakespeare’s Flowers is also a popular place to hold an outdoor wedding as the romantic scene of calming green and colorful displays of nature intensify the warm surroundings. Upon stepping inside the intricately designed gate of Shakespeare’s Flowers, a sundial soon greets you along a path fashioned from brick. Continuing down the walkway, towards the left, a chart of the garden contents identifies the various types of plants that dance about the pages of Shakespeare’s works. Throughout the garden, a variety of benches provide the perfect place to rest your feet and take in the sights. Many visitors come with their collection of plays and become completely submersed in the tranquility and comfort that the garden presents. As you move to the farthest end inside of the garden, a locked box set inside a brick wall beckons your curiosity. Surrounding the scene are six panels of bronze, where contained in the box, a bust of William Shakespeare resides. There are only two in existence and can be observed with the say-so of park officials. Until then, you will just have to read the panels, which contain floral quotations donated by an array of cultural associations from the area. 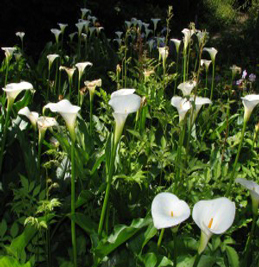 While the garden paying tribute to William Shakespeare is often called, “Shakespeare Garden” (among other names), the California Spring Blossom and Wildflower Association originally established it as the Garden of Shakespeare’s Flowers. With a history dating back to 1928, the garden was the brainchild of Alice Eastwood, who served as the long-running director of botany for the Academy of Sciences. Inside the garden, a stone bench was placed in her honor, located close to the back of the grounds. a) Poppy and Mandrake: The poppy has been seen as both a symbol for death (for its blood red color) and sleep (in reference to the opium it contains) in literature. The plant genus, Mandragora, belongs to the nightshades family and possesses a long history in connection with the Hebrew Bible, magic, spells, and witchcraft. In Cleopatra and Antony, Shakespeare makes mention of the plant as an ingredient in a drink that puts people to sleep for long periods of time. The Garden of Shakespeare’s Flowers is situated at Martin Luther King Jr. Drive and Middle Drive East, located not too far from the Japanese Tea Garden and the San Francisco Botanical Garden at Strybing Arboretum. A sign directing visitors to the garden’s free entrance is also in the area.